As web developers, it’s our responsibility to make sure our clients have beautiful, functional and maintainable websites. But in today’s development environment, more and more clients need a mobile app solution of some kind, and they’re looking to web developers to help them create it. And in a world where some 91% of Americans have cellphones, and 61% of that 91% have the “smart” variety, it’s hard to blame clients’ for wanting to expand their digital presence. It’s easy enough to up your web development game with new tools like developer extensions. But if you have the skills to help your client create a mobile app, you’ll be bringing in new business for yourself and your company. Learning Swift, Apple’s programming language for iOS devices, is an excellent way to get started down that path. Check out these resources below to take your first step. 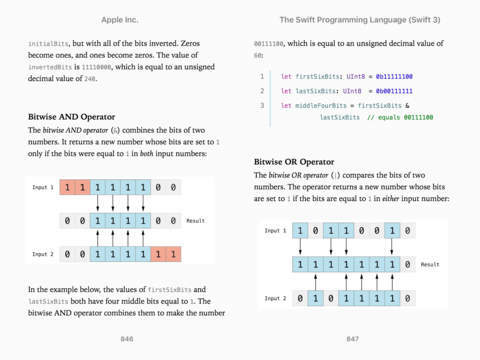 The Swift Programming Language is Apple’s official documentation of the Swift language, but it also makes a great learning resource for developers with the necessary prerequisite knowledge. It’s designed to help programmers that are already familiar with common programming languages pick up and get started with Swift quickly. 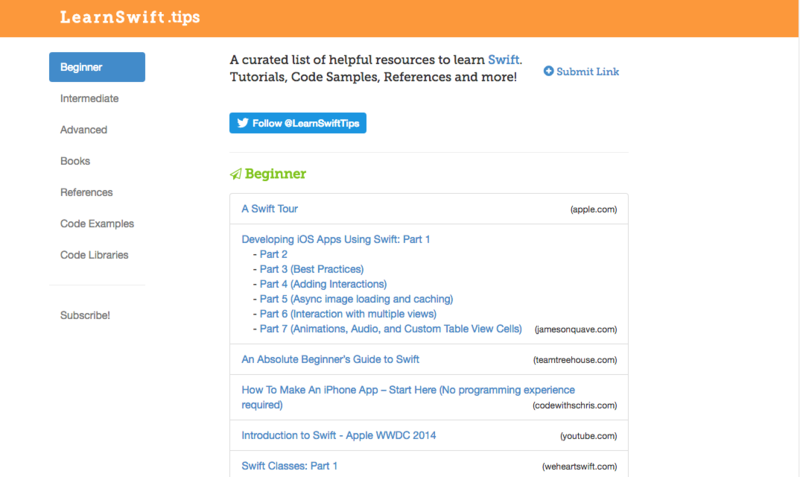 If Swift is your first programming language, this volume might leave some rudimentary information out, but overall its an excellent-and free!-resource for those getting started with Swift. You can view the document online, or download an ebook copy from iBooks. 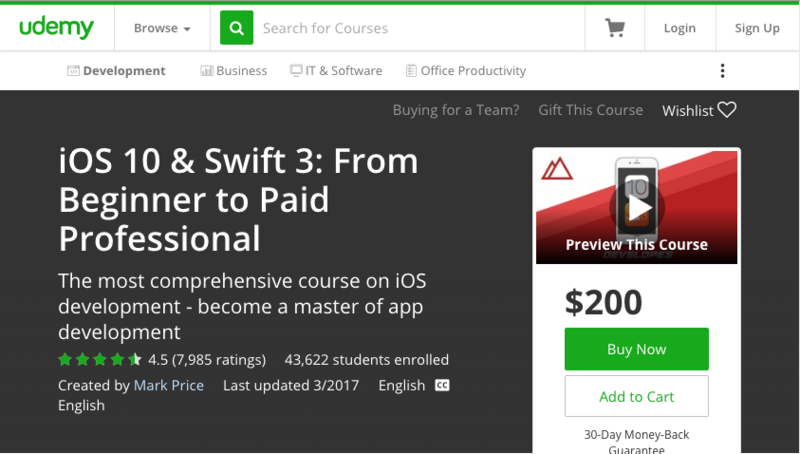 iOS 10 & Swift 3: From Beginner to Paid Professional on Udemy.com isn’t cheap. But if you’re serious about learning to use Swift professionally, it’s well worth the $200 price of admission. The instructor, Mark Price, is well known and widely respected, and he’s been teaching Swift courses on Udemy since the language was first released in 2014. He’s had thousands of students and many thousands of reviews, so you can trust that its decent content. And the course is specifically calibrated for those looking to start making money with Swift as soon as possible, so it will be well suited to your professional needs. 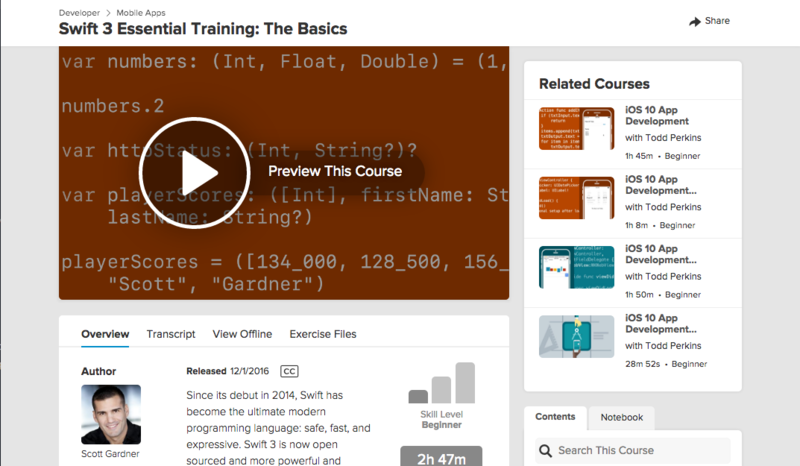 If you have access to a Lynda subscription, you can’t do much better than Swift 3 Essential Training: The Basics with instructor Scott Gardner. The course is designed to take you from a novice programmer to someone who can develop basic apps in Swift, but you might need some post-course training before you’re ready to take on the professional world. It covers all the basics, from creating playgrounds, working with strings, controlling program flow and working with structs. It’s great for users looking to get familiar with the structure of the Swift programming language while learning the basics of programming. 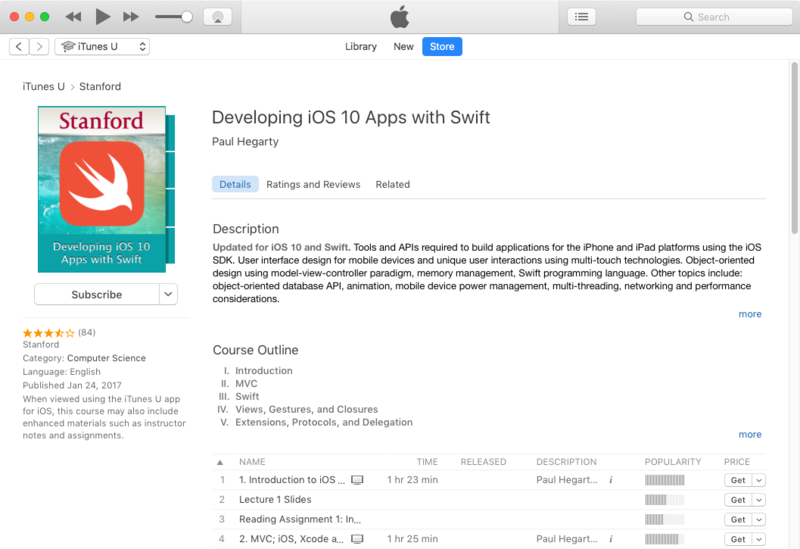 Developing iOS 10 Apps with Swift is a full Stanford app development course that’s available for free on iTunes U. If you already have some familiarity with Swift or other programming classes, this is a highly rigorous course that will launch the next step of your journey with Swift. The course calls for experience with C and object-oriented programming, so complete newbies should probably look at one of the more basic courses on this list. Advanced topics covered include object-oriented design using the model-view-controller paradigm, memory management, object-oriented database APIs, animation, mobile device power management, multi-threading, and networking and performance considerations. 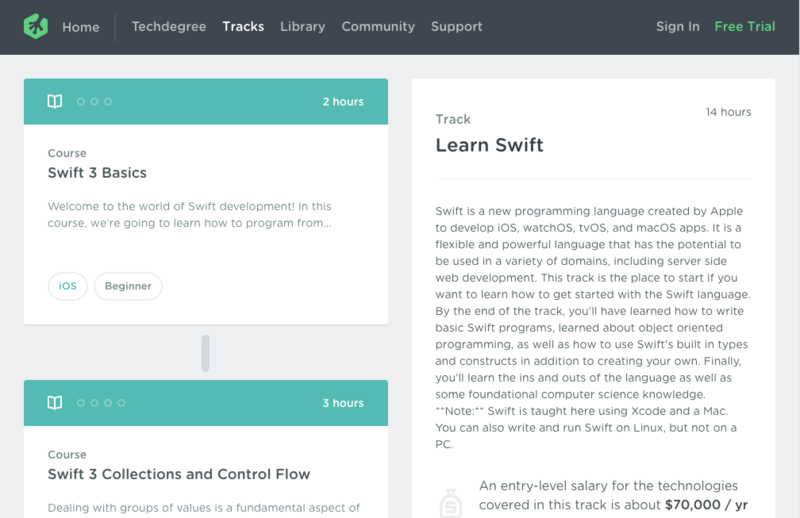 Subscription-based education provider Treehouse also provides an excellent track for learning Swift from scratch. The 14-hour course starts at the very beginning, covering the basics of the Swift language, object-oriented programming and simple iOS app development. It’s an excellent course for newcomers looking to get their feet wet, but experienced coders should probably look elsewhere. Subscriptions to Treehouse currently start at $25 per month, and you could likely get through the entirety of the Swift track within that period. 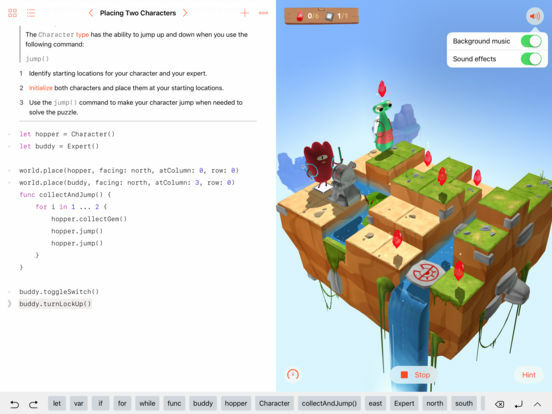 Swift Playgrounds is an iPad app from Apple that introduces users to the basics of programming in general and Swift in particular. It’s built with a playful interface, making learning engaging for novice and younger users especially. For example, many lessons involve moving an avatar around the screen using the Swift language’s tools. If you’re looking for a rigorous course, this likely isn’t it, but it’s a friendly way for users of all ages to dip a toe into what Swift has to offer. LearnSwift.tips isn’t an educational course in its own right, but rather a collection of educational resources related to Swift. Even so, it’s an indispensable hub for anyone looking to advance their understanding of the programming language. In addition to links to many of the resources above, it includes cheat sheets, code samples, Swift libraries, Q&A pages and more. And because resources are organized into “Beginner,” “Intermediate,” and “Advanced” difficulty, it’s easy to find content that matches your current skill level. Swift is an excellent language to add to your programming tool belt. Users experienced with C/C++ will that Swift shares a lot of commonalities with those languages, and novice programmers will learn a wide array of programming paradigms and thought processes that transfer easily into other languages. Aside from the opportunities to be had developing iOS apps, Swift is fast becoming a more popular language for non-iOS tools. It’s likely to see a wave of popularity in the future as the language continues to develop. In a couple years, we might even start seeing server-side applications developed in Swift—the sky is really the limit.